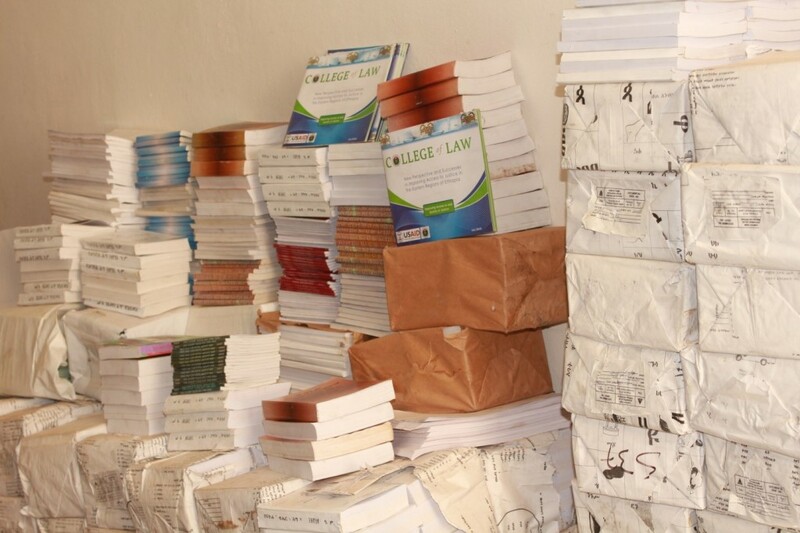 College of Law’s Access to Justice and Legal Awareness (AJLA) project donated legal documents worth over 250,000 Birr to courts and justice bureaus in the eastern region of Ethiopia, particularly the East and West Hararghe Zones of Oromia Regional State and the Harari Regional State. AJLA, a five-year project is funded by USAID and implemented by Haramaya University’s College of Law in collaboration with various stakeholders in the justice sector (courts, justice bureaus and prison administrations) in East and West Hararghe Zones of Oromia Regional State and the Harari Regional State. 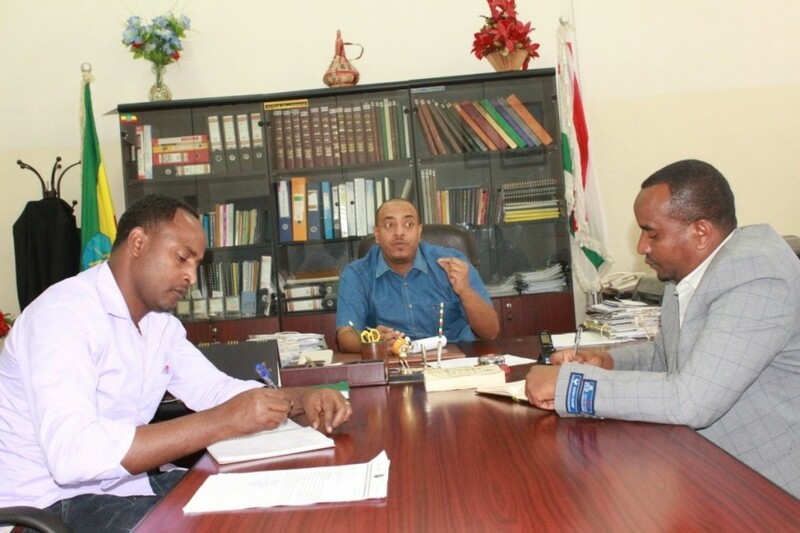 The overall goals of the Project are improving the quality of and access to justice in the eastern Ethiopia, through enhancing the legal awareness of the community; increasing the access to justice for the needy and vulnerable sections of the community; and improving the quality of legal education and enhancing the capacity of the formal justice sector in the region. AJLA’s research team conducted a baseline survey in August 2013, on courts and justice bureaus in eastern Ethiopia. And according to this survey, 93.7% of judges and prosecutors have no access to updated and relevant regional and federal legal documents to discharge their duties which significantly affect their capacity to deliver quality justice for the community. Furthermore, due to lack of on job training and the shortage of updated legal materials, the formal justice sector is not properly positioned in a way that ensures access to justice and delivery of quality justice to the community. To address this problem, in collaboration with USAID, AJLA bought more than 3620 law books and prepared more than 1500 compilation of updated proclamations worth over 250,000 birr. 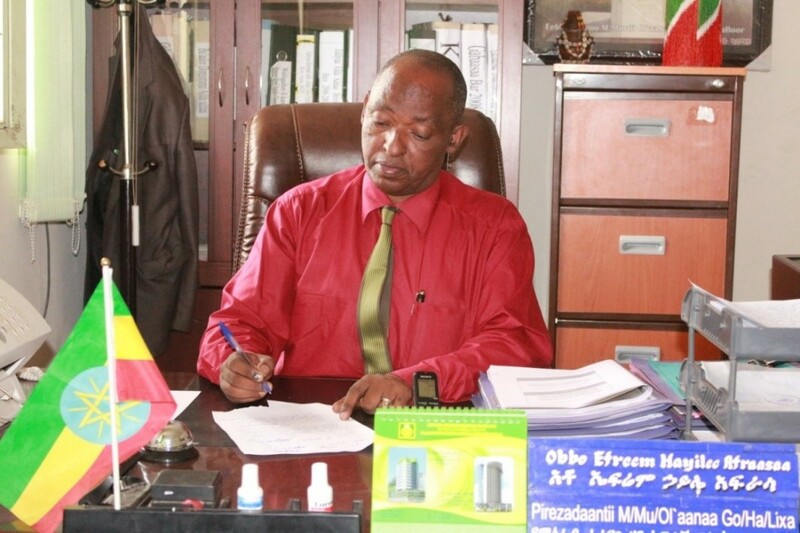 Mr. Habtamu Kenea, Coordinator of AJLA project, said, “Recently more than 3130 legal documents have been distributed to courts and justice bureaus of 19 Woredas as well as to zonal high court and justice bureau in Eastern Hararghe zones of Oromia Regional State and to Harari Regional State Supreme Court and Justice Bureau”. During the book handover ceremony, the Harari Regional State, Supreme Court President Mr. Mahir Abdusemad said “Thank you to Haramaya University. You went above and beyond our expectations by contributing a lot to improve the quality of and access to justice in Harari regional state courts and Prison Administration.” He added, “The regional and federal legal documents you gave us today will be useful reference materials for judges and prosecutors in our region to discharge their works properly”. Similarly, more than 1500 legal documents were distributed for 14 courts and justice bureaus in West Hararghe Zone of Oromia Region. During the book handover ceremony, the West Hararghe High Court President, Mr. Ephrem Haile said, “I am very grateful to AJLA Project and Haramaya University because, in addition to the professional free legal service in our courts, the legal documents we received today will greatly benefit our judges and prosecutors to update their legal knowledge and skills and enable them to deliver quality justice for the community in our zone”.